The holidays will be here before you know it, and it’s never too early to start planning your family getaway. 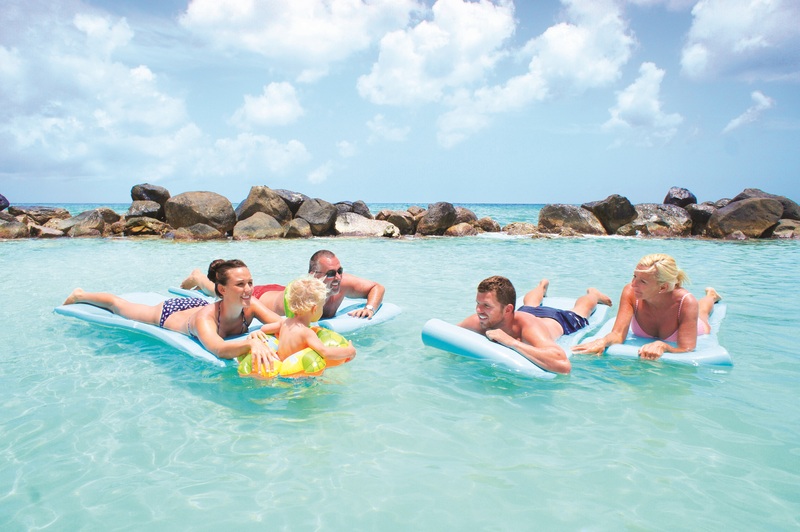 Aruba has termed the slogan “One Happy Island” and its ideal beaches, perfect year-round weather, and amazing people make it a superb destination to celebrate with your family this upcoming season. Melissa Schwarz, a travel consultant from Cherry Hill, N.J., has frequented the island with her family since the age of 7 and returns often, especially during the holidays. The weather in Aruba is perfect for fun in the sun all year, and the island’s cool breezes keep beachgoers refreshed on the warm sand. Always inclined for a good celebration, this lively island truly embraces the holiday spirit. Decorations, music, and island-style “Christmas” trees (festive palm trees) grace the lobbies of hotels and pedestrian areas around Aruba. This friendly island encourages mingling with locals and offers endless activities making it an ideal destination for creating family memories and new holiday traditions. A variety of accommodations and excursions ensure something wonderful for everyone, and your local travel agent will find the perfect resort for your Aruban Holiday escape!